One of the most fundamental questions in all of science, drawing the interest of laypersons and scientists alike, concerns the number of animals that inhabit the Earth. Game wardens often count deer and ducks, marine biologists tally fish and amateurs may count birds visiting a feeder, but is it possible to know how many animals exist? This question is more difficult to answer than it seems at first glance, and highlights the limits of current knowledge. It's simply not possible to count every human, bird, fish and invertebrate on the planet. Some animals are too small to be easily found, and others live in places that are inaccessible to curious scientists, so sampling techniques and estimates must be used. This is particularly evident when the human species is considered; determining the number of humans on the planet is very difficult and the U.S. census and world population clock are based on sampling, estimates and projections. Given this fact, the best possible solution to the question at hand will be an estimate, rather than an exact count. Setting aside the notion of determining the number of individual animals on the planet for a moment, merely determining the number of species on the Earth is challenging. Science has only been able to offer estimates thus far, and totals vary greatly. Using a new technique based on scaling, ecologist Camilo Mora, a marine ecologist at the University of Hawaii, and his colleagues at Dalhousie University in Halifax, Canada, have estimated the Earth is home to 8.7 billion species. However, this figure is includes plants and fungi, as well as animals, Estimates for the just the animal kingdom vary widely, though the best estimates are on the order of 1 to 2 million species; some sources site an upper bound of 50 million animal species. More insects inhabit the Earth than any other taxa of land-based animals, so while it may be impossible to determine the number of living animals, it would still be very helpful to determine the number of insects on the Earth. A study in North Carolina yielded impressive densities, tallying nearly 124 million animals per acre. Estimates based on sampling are all that is available for the entire planet, and according to the Entomological Society of America, noted Harvard biologist Dr. E.O. Wilson estimates there are 10 quintillion living insects. Arriving at the number of individuals of a species, by explicit count or estimation, is difficult, but scientists have made estimates for a few common species. 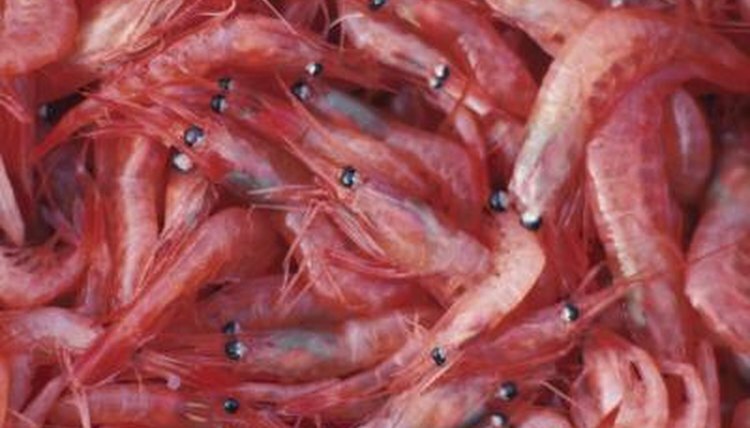 Krill are shrimp-like creatures found in great numbers in parts of the ocean. One estimate of krill population by the British Antarctic Survey suggests the total number of krill in the study area to be 800 trillion. Meanwhile, on dry land, Jesse Czekanski-Moir of Antweb.org sites a 1990 study by Holldobler and Wilson, which estimates 10,000 trillion ants are alive at any one point in time. Mathematician, computer science expert and animal rights advocate Brian Tomasik has attempted to catalog estimates of the number of individual animals in a variety of groupings. According to his data, the total number of individual animals on the earth adds up to approximately 20,000,121,091,000,000,000. This can be written as 20 quintillion, or 20 billion billion. NPR.org: Along with Humans, Who Else is in the 7 Billion Club? Antweb.org: Do Ants Really Have the Largest Biomass of All Species on Earth? Essays on Reduced Suffering:How Many Wild Animals are There? What Type of Animals Live Near Volcanoes?